During the upcoming Game Developers Conference (GDC), AMD will give a presentation about DX12 & Vulkan and share insights gained while developing the first wave of DX12 & Vulkan titles. The GDC will take place at San Francisco’s Moscone Center from March 14 till March 18, 2016. The event focuses on learning, inspiration, and networking for industry professionals. Apparently, AMD’s Developer Technology Engineer Matthaeus Chajdas will be talking about Valkan and DirectX12 in a presentation called D3D12 & Vulkan: Lessons Learned. Exact details about the presentation have yet to be confirmed, but the description of AMD’s presentation already reveals some interesting details. During the presentation, Matthaeus will be talking about insights gained while developing the first wave of Vulkan & DirectX12 titles. Vulkan and DirectX®12 are new, low-level APIs which require developers to think about graphics in a new way. In many cases game engines need to be restructured to take advantage of low-level parallel submission, asynchronous execution and new state & resource handling features provided by the API. In this lecture, these new concepts will be reviewed and we will take a look at how launch titles successfully handled the transition to the new APIs. The presentation will include useful insights gained while developing the first wave of Vulkan & DirectX®12 titles. Attendees will get an insight into the new APIs and their efficient use based on the experiences gained on the launch titles. This presentation is targeting experienced game engine developers who are familiar with DirectX 11 and OpenGL. Since some of the concepts are already available on consoles it is beneficial, but not required, to have some console development experience. 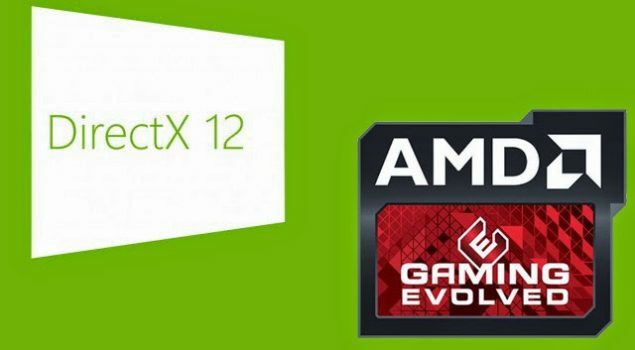 Whether this means that more developers have been working together with AMD on new DX12 & Vulkan based titles, remains to be seen. At the moment of writing, only a few games have been announced to make use of DX12. The short list currently includes Fable Legends, Deus Ex: Mankind Divided and Ashes of the Singularity. A lot of developers have shared their interest to support the Vulkan Api, including DICE with their Frostbite engine, and also Crytek and their CryEngine.